Fat Tyre Sand Bikes or Fat bikes as they are commonly known have been in Australia for about ten years but became main stream about 3 years ago. Originally from Alaska, the US brands Surly and Salsa took them into the US mainstream. Diamant from Norway quietly developed it’s own fat bikes independently of the US scene (Norway has a lot of snow!) 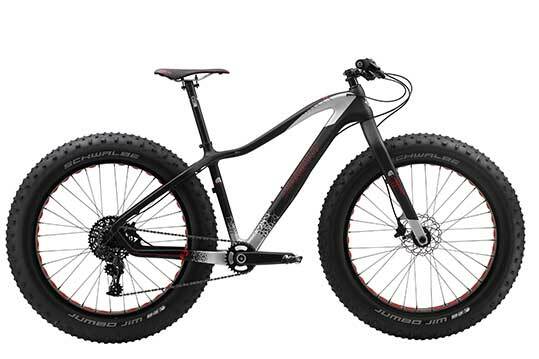 and this has lead to a 5th generation of fat bikes based on designs that are tried and tested in the real world. Fatbikes are designed to carry adventurous riders out into wild places not normally accessible to bicycles. Extra wide 4-5 inch tires on 80mm-100mm wide rims run at a low inflation give a large foot print and massive grip which helps the Fat bike float through sand, snow, mud and other variable terrain, opening the door to epic beach rides, untracked exploration and mid-winter expeditions on snow. When assessing fat bikes for beach or desert riding one of the primary considerations is tyre width and rim width. Just like on a 4wd, a wider rim and tyre combination will increase the tyres footprint and increase floatation on soft sand or snow. Bikes in the cheaper sub-$1000 end of the market as a generalisation have skinny 60-80mm rims, are single speed or often have gears but with an insufficient low gear range for soft terrain riding. 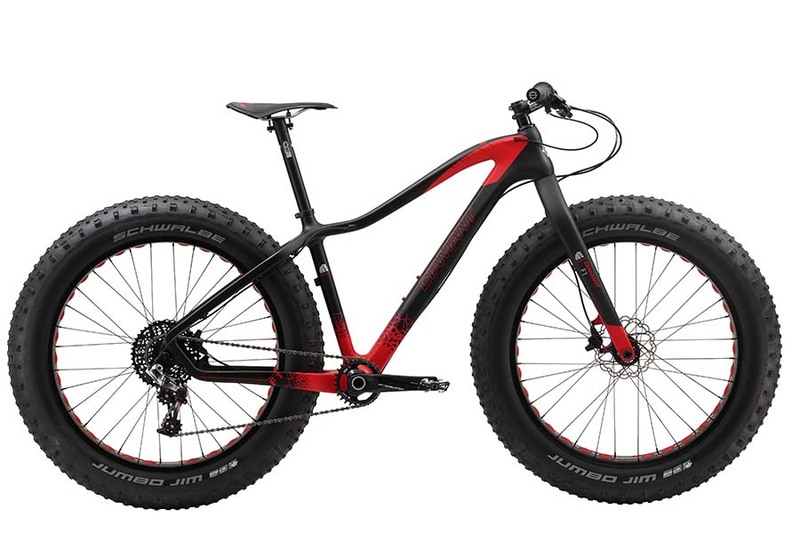 Compare this to a typical modern fatbike see http://www.fatbike.com.au/mammut-f2/ with 102mm wide rims combined with 4.8 inch tyres and a wide range 1 x 11 drive chain and you will see an immediate performance advantage on soft sand or snow. 2 x front chain ring systems are still fine and provide value for money at a cost of slightly more weight but it is critical to ensure the front chain rings are about 36/22 in ratio or low range performance will be affected. Fat tires also provide maintenance simplicity to a bike, eliminating complicated rear suspension by giving a degree of free suspension. Drive and braking are improved, especially on less than ideal surfaces. Climbing hills on loose gravel or sand becomes possible without wheel spin. However it’s the sideways grip that really impresses, at speed cornering grip it is excessive. If the tyres don’t stick, it’s likely nothing will. Most importantly Fat Bikes are Fun! i have a Trek Farley 5 with 26x 4.7″ Bontrager (with tubes). I enjoy riding beach sand. Will this bike take 5″ tyres? If so what tyres of this diameter should i consider? 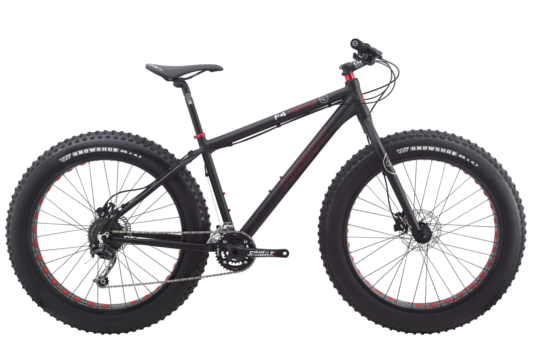 Hi Paul glad your enjoying your bike, 4.7′ is fat but you would find one of our bikes with 102mm rim and 4.8 tyres would give you even more floatation in the soft stuff. Happy trails. . . This is very thorough and helpful blog, full of relevant information about fat bike riding. Thanks for sharing!